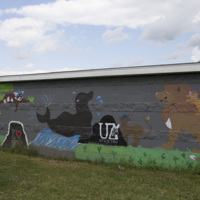 Caitlyn Notaro and volunteers from the greater Utica community, “Day Of Action 08,” Art Oneida, accessed April 20, 2019, http://artoneida.org/art/items/show/245. Description: 16 murals, 8 locations, and over 240 volunteers: that was the impressive count for Utica's Day of Action in 2015. 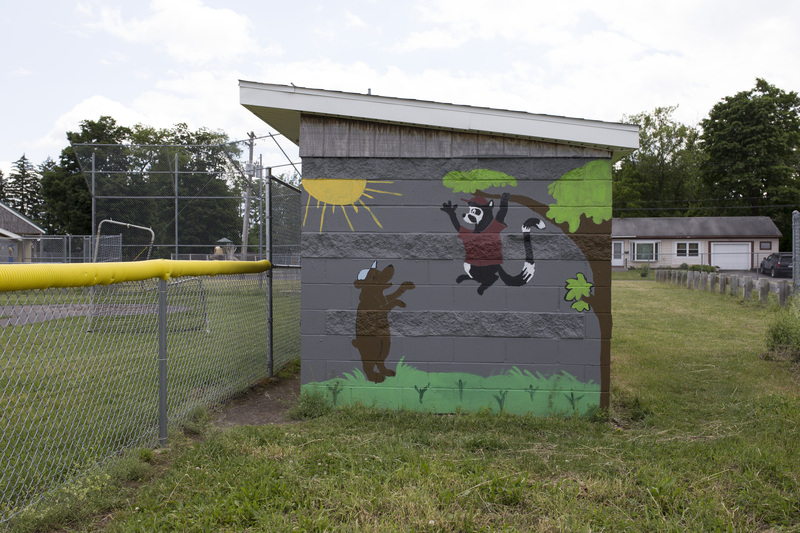 Artist Caitlyn Notaro outlined all the figures in black in each location. Then volunteers were able to "paint-by-number" and fill in her designs. 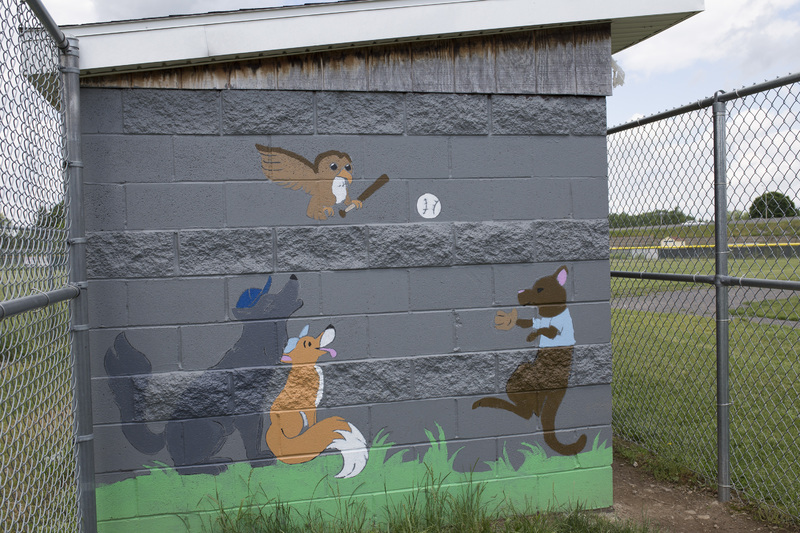 Local businesses sponsored each mural, providing the funding for paint and other supplies. 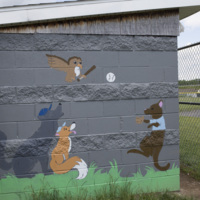 Smiling children's faces and inspirational quotes fill the walls of little league baseball dugouts, park buildings, and the Community Health Center. The United Way of the Valley and the Greater Utica Area has hosted this event for several years. Other co-sponsors are The Parkway Center/Mohawk Regional Volunteer Center, The City of Utica, and the HomeOwnership Center. It's a tradition for United Way chapters across the country to sponsor a Day of Action. Often, this is scheduled around the Summer Solstice, to fit the most community service in the longest day of the year. 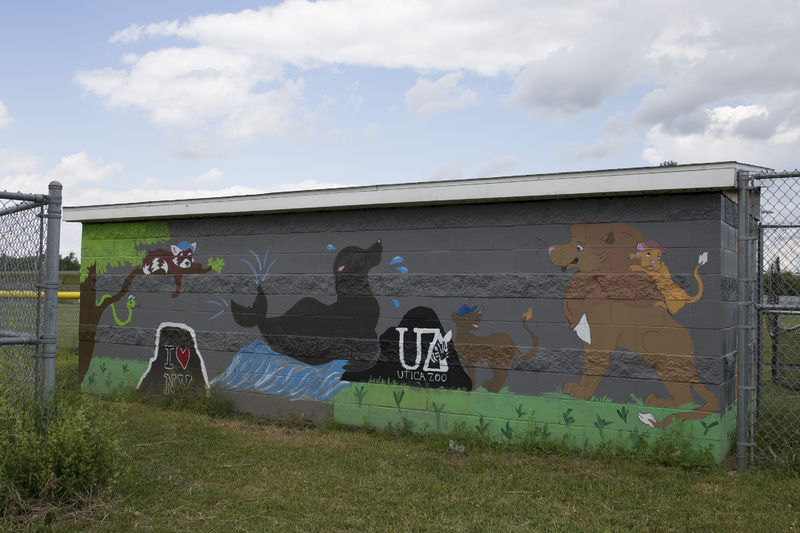 2013 was the Utica Day of Action's first focus on a "Graffiti Bust," in response to a community survey. 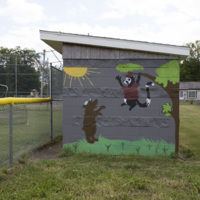 Work in 2014 continued that theme, placing murals in areas commonly tagged with graffiti. By 2015, the community was ready for more, and the volunteers were eager to sign up.